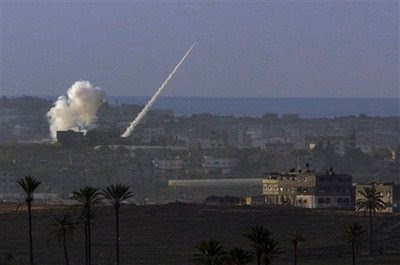 AP Photo - A rocket fired by Palestinians militants in the Gaza Strip flies towards an Israeli target as seen from the Israel-Gaza broder in southern Israel, Tuesday, Dec. 30, 2008. Israeli leaders will meet tomorrow to consider a four-day truce with Hamas, in essence halting its air campaign in return for a cessation of Hamas rocket launches into southern Israel. This is exactly what Hamas wants and what it has counted on since it provoked the Israelis into the military option over the last few weeks. Hamas knew full well the world reaction of far beyond the Arab and Muslim countries. Calls for restraint and a cease-fire from the European Union and the United Nations seem to be having an effect in Tel Aviv. Israel may be on the verge of the same mistake it made in 2006 in the conflict with Hizballah - caving in to international pressure before its objectives were met. Public opinion will never be on the side of the Israelis, as evidenced by the almost universal lack of condemnation of Hamas's near continuous rocket attacks on civilian populations in southern Israel. Israelis should realize that no matter how justified they believe themselves to be, most of the world is not going to support them. Accept that and act in Israel's best interests. Right now, Israel's best interests are the degradation of Hamas's capability to indiscriminately target 10 percent of Israeli citizens. What harm could there be in showing good faith and pausing air operations for four days, a mere 96 hours? Plenty. A four-day halt to the pressure Israel has been able to exert on Hamas will benefit only Hamas. Israel does not need a halt - they are steadily degrading Hamas's offensive capabilities and demonstrating to the Gazans that finally Israel is serious about stopping the rocket attacks. Hamas, on the other hand, needs the break in the bombing attacks to regroup and try to reconstitute itself. The break will give it the opportunity to try to smuggle more arms into the Strip via Egypt, the opportunity to reposition hidden rocket stocks to launch positions, and the opportunity to move assets and personnel to locations unknown to the Israelis. Hamas has continuously refused to recognize Israel's right to exist and reiterated calls for the destruction of the Jewish state. That does not appear to have changed. It welcomes a four-day breather to allow itself to keep on fighting in the future. Hamas has this figured out. It will agree to a four-day breather. At the end of that period, the Israelis will be in the position of having to sit and wait until Hamas violates the cease-fire. As long as the Israeli air force is poised to resume operations and there are thousands of Israeli troops just waiting for the word to invade, Hamas will not strike. Hamas will not strike immediately, but it will be in the driver's seat - knowing full well Israel cannot afford a long period of inactive mobilization. It will simply wait until the Israelis stand down, and resume the attacks on Hamas's timetable. My advice to the Israeli leadership: Don't do it. Stop only when you have achieved the elimination of either Hamas's capability or desire to fire rockets into Israel. As I predicted(although it did not require much prescience), the Israelis have launched their initial attacks on Hamas targets in Gaza. As I also predicted, there has been condemnation from virtually every Arab and Muslim country, and the Europeans have called for Israel to stop its use of "disproportionate force." The demonstrations in the Arab and Muslim countries, as well as some in Europe and South America, were to be expected, but one should ask the demonstrators where they were when rockets were landing in Israel every day. The European Union tried to strike a more moderate tone, but didn't quite succeed. The EU's Javier Solano claimed the EU has condemned Hamas's rocket attacks against Israel, but that the current Israeli operation is "inflicting an unacceptable toll on Palestinian civilians..." I would like Mr Solano to define what is the acceptable toll on Palestinian civilians so the Israelis have an idea of how many they can kill. Insane? Absolutely. At least French President Nicolas Sarkozy did mention that the Israeli attacks were provoked by Hamas in his call for Israel to stop its operations in Gaza. The operation in Gaza is a long time coming. Israelis have had enough - 6000 rockets into their southern border cities since they withdrew from Gaza in 2005 have galvanized public opinion in support of the operation. This will not be a small, punitive raid - it will be a concerted military offensive designed to eliminate Hamas's ability to launch attacks on Israel. 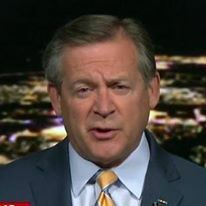 It also will be an effort to eliminate as many Hamas militants as possible, and that might include some of the Hamas political leadership as well. Much of this might be accomplished with precision air strikes based on excellent intelligence. Israel has the capability for both. 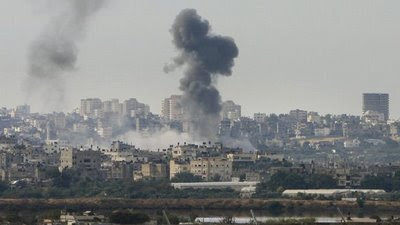 The initial air strikes seemed to surprise even Hamas leaders as Israeli warplanes, both fixed and rotary wing), hit virtually every significant Hamas security installation in the Gaza Strip. Follow-on attacks were aimed at destroying the tunnels between Gaza and Egypt. This serves two purposes - it staunches the flow of arms into the area and prevents the escape of Hamas militants into Egypt. In case the Israelis cannot degrade Hamas sufficiently from the air, they are prepared to launch a ground offensive as well. The planning has been going on for some time now. Israeli armor and infantry units with supporting artillery and logistics are already in place near Gaza with more on the move. The Knesset authorized the callup of 6,500 reservists to provide the manpower that will be required to successfully mount an incursion into the Gaza Strip. Some analysts have suggested that the mobilization is meant to intimidate Hamas. Hamas does not intimidate easily - rockets are still falling on Israeli cities, including the port city of Ashdod. In my opinion, the Israelis fully intend to address the issue of Hamas once and for all. If that requires what amounts to an invasion, the Israelis will do just that. Israel has limited time to accomplish its objectives before international opinion and more ineffective United Nations resolutions call for an end to the operation. This is one of the problems they misjudged in the 2006 war with Hizballah. They put off the ground invasion of Lebanon, assuming that the United Nations would call a cease-fire and end the rocket attacks on northern Israel. That effort dragged on and on while thousands of Israeli troops waited on the border. By the time the order came to move, they did so in the face of international condemnation. History should have taught the Israelis that they need to move quickly and accomplish their objectives as fast as possible, ahead of the United Nations decision cycle. Launching the attacks on a Saturday was good start. Hamas knew this was coming and took no action to stop the rocket launches into southern Israel, in fact, the attacks intensified over the last few weeks. If they meant to provoke Israel into a military confrontation for whatever reason - to stop talks between Syria and Israel, perhaps? - they succeeded. Barring a decision in Tel Aviv to call off the operation, I think Hamas is in for a tough week. There have been subtle messages emanating from Damascus that Syrian President Bashar al-Asad would like to improve Syria's poor relationship with the United States and that the election of Barack Obama might provide an opportunity to do just that. In a recent rather softball Washington Post interview with veteran Middle East reporter David Ignatius, Asad reiterated the same Syrian positions, but appeared to be willing to work with the incoming Obama administration, and continued to ignore some realities that will have to be addressed if any progress is to be made on either the Syrian, Lebanese or Palestinian tracks of the Middle East peace process. 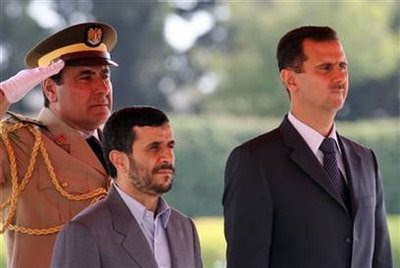 For example, Syria is willing to have direct talks with Israel, but Asad first wants the Israelis to guarantee that they will withdraw completely from the Golan Heights. The Israelis are prepared to withdraw from the plateau they have occupied since 1967 as part of a deal for peace with Syria. The question is not one of withdrawal, it is the determination of "complete" withdrawal. In other words, what is the line that both countries can agree on. Syria's preferred map shows the border on the shores of Lake Tiberias, while Israel believes that the entire shoreline is Israeli territory. It is only a difference of a few hundred meters, but it is an issue. In return, Israel will demand changes in the relationship between Iran and Syria. This will be a key test of how badly Asad wants a deal with Israel, how badly he wants to regain the Golan Heights. 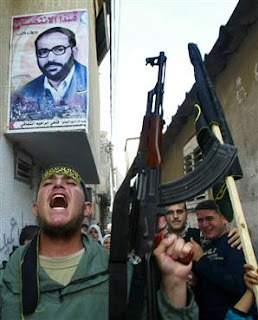 Iran is the main supporter of Hizballah in Lebanon and Hamas in Gaza. That support, in the form of money and weapons, flows through Damascus. Damascus and Tehran have a mutual defense pact, and cooperate on a variety of intelligence and security issues. There are lingering suspicions that Iran was the funding source for the now-destroyed North Korean reactor at al-Kibar. Asad's response to the charges that Iran is funneling weapons and money to Hizballah and Hamas is typical. To him, Hizballah is a Lebanese issue that the Israelis should address with the Lebanese government, and Hamas is a Palestinian issue that should be addressed with the Palestinian Authority. I doubt that will be good enough for either the current Israeli government or the one that will be formed after the parliamentary elections in February 2009. The Iran piece is critical. Hopefully the new American president will pressure Asad to move away from Iran. Otherwise, there will be no progress on the Syrian track. If that is the case, Obama should concentrate on the Palestinian issue and let the Golan remain in Israeli hands for now. Rocket attacks launched by Hamas into Israel have increased significantly since the Egyptian-brokered "calm" agreement between the fundamentalist group and Israel expired on December 19. On December 24, for example, over 80 rockets and mortar rounds were fired into Israel. This included some longer range Katyusha rockets striking buildings in Ashkelon, 10 miles from the Gaza border. A resident of Ashkelon summed up the current situation best, "We can't live this way." That same sentiment is growing all over Israel as the government ponders the best way to deal with the worsening situation. Even the Egyptians, normally supporters of the Gazans, are coming to the conclusion that Israel will soon have no choice but to intervene militarily in Gaza. Gaza has become a stronghold of Hamas - an acronym for the Arabic words meaning the (Palestinian) Islamic Resistance Movement - since its election victory over rival party Fatah in January 2006. Soon after its victory at the ballot box, it expelled virtually all of Fatah from the Strip, forcing them to the West Bank. This expulsion in essence created two Palestinian states: "Fatah-stan" in the West Bank and an almost Islamic "Hamas-stan" in Gaza. According to Arabic-language press reporting, Hamas has gone so far as to introduce flogging, amputation and execution as punishments in the Gaza penal code. Hamas has never recognized Israel's right to exist and is in a self-declared state of war with the Jewish nation. Even after its assumed power, Hamas refused to acknowledge Israel and has vowed to continue its armed resistance against Israel. Even during the cease-fire, Qassam rockets routinely hit the border town of Sderot, one mile from the border with Gaza. Since Israel pulled out of the Gaza Strip in 2005, over 6,000 of the Qassam rockets have been fired at Sderot, killing 13 people, wounding dozens, causing millions of dollars in damage, disrupting daily life, forcing about 25 percent of the people to leave, and crippling the economy. The director of Shin Bet, Israel's internal security service, revealed that Hamas has received longer range rockets from Syria and Iran, smuggled in through Egypt. These rockets can not only reach Ashkelon as in today's attacks, but as far into Israel as Ashdod, 17 miles from the border. To put this into context, Ashdod is halfway to Tel Aviv from the Gaza Strip, has a population of 200,000 people, and is Israel's largest port facility, accounting for over 60 percent of the nation's imports. At some point, the Israelis will have no option but to intervene militarily. It's not a good option, but it may turn out to be the only option. Gaza is densely populated and no matter how carefully the Israelis mount an operation, there will be a great number of civilian casualties. This, of course, will bring world condemnation of the Israeli action. When the Israelis move, there will be Hamas retaliation. In addition to continued rocket and mortar attacks, there will be roadside bombs with improvised explosive devices. Hamas no doubt has seen how effective these have been in Iraq and Lebanon. Also, Hamas will make good on its promise to dispatch suicide bombers into Israel proper - this is a demonstrated capability. There is also the question of what Fatah and its own collection of militants - especially the al-Aqsa Martyrs Brigade - will do when Israel attacks fellow Palestinians. 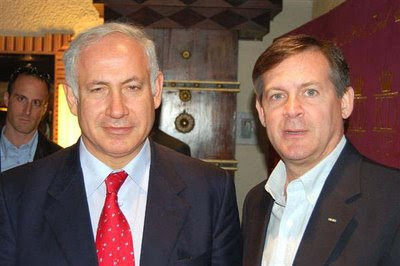 All this takes place against the backdrop of the upcoming Israeli parliamentary elections, scheduled for February 10, 2009. In all likelihood, the next prime minister who will emerge from that vote will be either the Kadima party's Tzipi Livni (currently the foreign minister and acting prime minister) or Likud's Benyamin Netanyahu (a former prime minister). So, it will be "Hardliner A" or "Hardliner B" come early next year. Each has pledged to forcefully end the Gaza crisis. Hamas should take note. Neither of the two potential prime ministers have much use for Hamas or Gaza. When the Israelis intervene, they will not make the mistakes of Lebanon 2006. When they invade Gaza next, it will be decisive. Hamas has a narrow window to prevent the coming bloodshed. They have pushed the Israelis about as far as they are going to be pushed. It's time to think about the people of Gaza for a change. During the recent visit to Moscow by the Lebanese Minister of Defense, his Russian counterpart offered to provide 10 MiG-29 (FULCRUM) fighters to the Lebanese Air Force. This came as a surprise to the Lebanese (as well as the Israelis and Americans). Of course, an offer is not delivery - I will be astonished if we see MiG-29 fighters over Lebanon wearing the roundel of the Lebanese Air Force anytime soon. The MiG-29 entered service in the early 1980's to counter American-built F-15 and F-16 fighters. 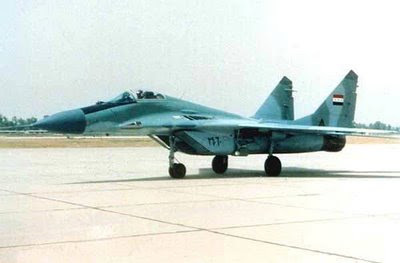 In the only combat match ups between the MiG-29 and the American-built fighters - in Iraq and the Balkans - no American-built fighters have been lost, while as many as 20 MiG-29's have been downed. A contributing factor in this disparity of performance between the MiG and F-15 and F-16 is of course the skill of the pilots. Let's look at what might be behind this surprising announcement. Delivering advanced fighter aircraft does not happen overnight, nor does it happen in a vacuum - a lot of things are required to make such an effort possible. As they say, the devil is in the details. First, Lebanon has traditionally purchased its weapons from the West, mostly from the United States. Its current Air Force inventory consists of four antiquated British-made Hawker Hunters, a few dozen American-made UH-1H Huey helicopters and a handful of French-made Aerospatiale SA-342 Gazelle attack helicopters. The Air Force is not capable of defending Lebanese airspace - Israeli fighter and reconnaissance aircraft overfly the country often and at will. Since the end of the Hizballah-Israel conflict in 2006, the United States has pledged to upgrade the capabilities of the Lebanese armed forces, but to date not much more than training has materialized. There is a reluctance in Washington (not to mention Tel Aviv) to provide weapons to the Lebanese that might end up on the hands of Hizballah. Since 2006, Hizballah has emerged as one of the major power brokers in the country. Should this be a serious offer by the Russians, there are other considerations as well. The Lebanese will need qualified pilots to fly the fighter jets. While we might not consider the MiG-29 a state of the art military aircraft, it is more advanced by several orders of magnitude than the Hawker Hunter. Will the Lebanese pilots train in Russia, or will we see a Russian military training mission in Lebanon? Neither is something the United States or Israel would welcome. A squadron of advanced jet fighter aircraft will require a much more robust maintenance capability than that currently in the Lebanese Air Force. There will need to be fairly high-tech test equipment, spare parts, avionics maintenance, and support for whatever weapons package accompanies the aircraft. Again, will we see the establishment of a Russian military advisor presence in Lebanon similar to what we see in Syria? What do the Russians hope to accomplish with this offer to the Lebanese? They may be trying to make inroads to what has traditionally been a Western-allied military. Lebanese officers are trained at facilities in the United States and Europe. This may be more of Russia reasserting its military capabilities around the world - much of it fueled by higher oil prices earlier in the year. There have been increased Russian strategic aviation flights near Alaska, recent ship visits to Venezuela and Cuba, as well as increased Russian naval activity in the Mediterranean, including port visits to Syria and Libya. There have been rumors of a permanent Russian naval presence at the Syrian port of Tartus. I doubt the Russians would have made such an offer to the Lebanese without Syrian acquiescence. Syria believes Lebanon to be in its sphere of influence. I am of the opinion that the Syrians will eventually engineer a crisis in Lebanon that will cause the Lebanese government - with the urging of Syrian-Iranian proxy Hizballah - to request the reintroduction of Syrian troops. Syrian troops provided the pax syriana in Lebanon from 1976 to 2005. Provision of the Russian MiG-29's to Lebanon is a great ploy for the Syrians. Rather than the Russians establishing a large (and expensive) maintenance and training facility in Lebanon for only 10 aircraft, Syria can provide all the things required, easier and cheaper. Syria operates three squadrons of MiG-29's from its air base at Sayqal (about 60 miles east northeast of Damascus). It has qualified pilots and an established maintenance base less than 15 minutes flying time from either of Lebanon's primary air bases. These bases - Riyaq in the Biqa' Valley or al-Qulayat near Tripoli, are both within six and five miles respectively of the Syrian border. Syria will play a role in this delivery, if it in fact happens. I suspect that this whole episode was discussed between Damascus and Moscow before the Russian offer was made to the Lebanese. Britain announced that it will withdraw all if its troops from Iraq by mid-2009. According to British Prime Minister Gordon Brown, the remaining 4,100 British forces in Iraq will cease operations on May 31, 2009 and begin a withdrawal that will take about two months. At one point, Britain had deployed as many as 45,000 troops to Iraq. The timing of the announcement coincides with the introduction of a draft Iraqi law requiring all foreign forces other than those of the United States to leave Iraq by July 31, 2009. The remaining non-foreign troops in Iraq consist of the British and smaller numbers of Australians and Romanians, plus a handful from a few other countries. Departure of the non-American forces will not change the situation on the ground. In the past year, British troops have mostly confined themselves to a garrison at an airfield near al-Basrah. Despite their well-earned reputation as excellent troops, the British have been reluctant to conduct aggressive operations in the southern area that has been their primary responsibility since the invasion in 2003. When Prime Minister Nuri al-Maliki deployed Iraqi forces to al-Basrah earlier this year to take down Shi'a militias and criminal gangs threatening to take over the city, it was U.S. troops, not British, who supported the Iraqis with air and ground combat support. I suspect the British forces are responding to direction from London to maintain a low profile until they are withdrawn. Unlike the United States, whose history with Iraq really only extends to the first Gulf War in 1991 when an American-led coalition expelled Iraqi forces from Kuwait, Britain and Iraq have had a rocky relationship that precedes the establishment of Iraq as a modern country. That history may directly impact British conduct in Iraq today. Following the defeat of the Ottoman Empire in World War One, Britain (along with France) was instrumental in the creation of a series of new states, much of it payback for Arab support against the Turks during the war. Our of the remnants of the Ottoman Empire came the new kingdoms of Syria, Iraq and Jordan (originally the Emirate of Transjordan). The throne in Baghdad was originally intended for 'Abdullah, son of the Sharif of Mecca, the Arab leader whose support for the British was key to victory in the deserts of the Arabian Peninsula. When 'Abdullah's brother was expelled by the French from his throne in Damascus, the British moved him to Baghdad, creating Transjordan for 'Abdullah. The inhabitants of the area have not forgotten Britain's creation of artificial countries and importation of outside monarchs. The Iraqis launched a bitter rebellion against the British in 1920, gaining their independence in 1932. However, during World War II, the British reintroduced forces into Iraq and restored the Hashemite monarchy. British occupation lasted until 1947, and the monarchy remained until a bloody revolution in 1958. When Britain granted Kuwait its independence in 1962, Iraq threatened to invade and reclaim territory that they believe is rightfully part of Iraq. 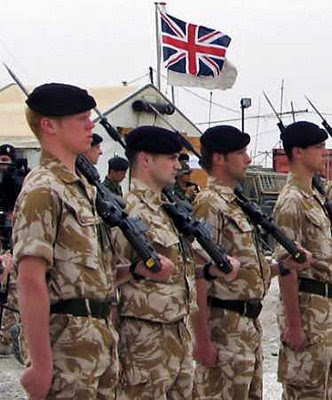 British forces redeployed to Kuwait and forced the Iraqis to back down. Britain was a key contributor to the coalition that expelled Iraqi forces from Kuwait in 1991. Most of the Iraqi population (with the likely exception of the Kurds) would like to see all foreign forces leave the country. Most are pragmatic enough to realize that right now it is only the presence of 150,000 American troops that guarantee their security. If they can limit foreign military presence to only one country, so much the better. The Iraqis will not be saddened to see the British leave, again. As has been gleefully covered in the media, an Iraqi journalist threw two shoes at President Bush while the President was making remarks at a press conference during a surprise trip to Baghdad. The journalist missed hitting the President - barely - but did cause a bruise on the President's spokesperson. Throwing shoes at someone is a traditional Arab insult. According to press reports of the incident, the journalist shouted in Arabic as he hurled his footwear at the President, "This is a gift from the Iraqis; this is the farewell kiss, you dog...this is from the widows, the orphans and those who were killed in Iraq." The journalist, Muntazir al-Zaydi, has become a folk hero in much of the Arab world, including parts of Iraq - mostly the areas that are loyal to the former regime of Saddam Husayn and to the radical Shi'a cleric Muqtada al-Sadr. This is to be expected from these people. I have a few questions for al-Zaydi and the protesters demanding he be released, claiming he was only exercising his free speech, a right promised by the Americans. Shouting at the President is exercising free speech - throwing objects at him is assault. 1. I do not recall you shouting at President Saddam Husayn, or throwing shoes at him. Saddam was responsible for many more deaths by orders of magnitude than any American leader. Did I miss that press conference where you stood up to Saddam? You remember - all those opportunities the Iraqi media had to hold their "elected" leaders accountable to the public. 2. I don't recall scenes like this prior to 2003, when the Americans gave you the right to free speech, freedom to assemble, freedom to protest, etc. How many anti-Saddam rallies did you all attend? It's ironic that you do not recognize that the man who is responsible for your rights is the one you'd like to throw shoes at. Cowards then, and it appears, cowards now. Once again, radical Shi'a cleric Muqtada al-Sadr has threatened to restart his armed resistance to the presence of American forces in Iraq. For the last year, his band of thugs has observed what he calls a "truce," which has partially been responsible for lower levels of violence in the country. In reality, he had little choice but to order his loyalists to stand down or face the newly deployed combat troops that made up the American "surge." Each time the Sadrists take on the Americans, they suffer badly. This time the threat is an attempt to stop the Iraqi government from signing an agreement with the United States that provides a legal framework for American forces to remain in Iraq beyond December 31, 2008. That agreement has been completed and will soon be submitted to the Iraqi national assembly for approval. Al-Sadr now threatens to order his followers to attack American forces if there is any agreement that provides for the continued presence of the troops in Iraq, or allows them to retain any bases in the country. Note that al-Sadr makes these threats from the safety of Iran, where he claims to be furthering his Islamic education. Maybe he is, of maybe he is just hiding. Muqtada al-Sadr poses a clear and immediate threat to American forces. That threat should be addressed - this radical ne'er-do-well has been a problem since he was involved in the murder of Shi'a cleric 'Abd al-Majid al-Khu'i in April 2003. Although a warrant was issued for his arrest, he has never been charged for complicity in the crime. His followers - and thus him - have American blood on their hands. American forces should neutralize this threat. That's a polite way of sending a special forces team to kill him. I have said this before - it is long overdue. Earlier this month, diplomats with access to the International Atomic Energy Agency in Vienna week revealed that samples taken from a site in northeastern Syria indicated the presence of processed uranium. This finding lends credence to the Israeli claims that the site housed a nuclear reactor and some vindication for its attack on the facility in September 2007. 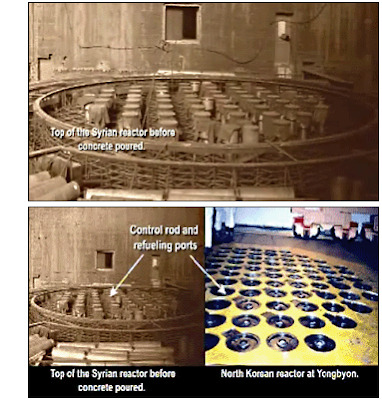 This revelation should come as no surprise - the evidence of Syrian-North Korean cooperation to build the reactor at al-Kibar is in my opinion irrefutable. Ground photography of the site shows a facility closely resembling the reactor at Yongbyon, North Korea. Photogrammetry of satellite imagery indicates that the two buildings are almost identical in size. The only exception is the clever Syrian attempts to mask the true purpose of the site. There is no obvious power source, cooling system, or air defense. 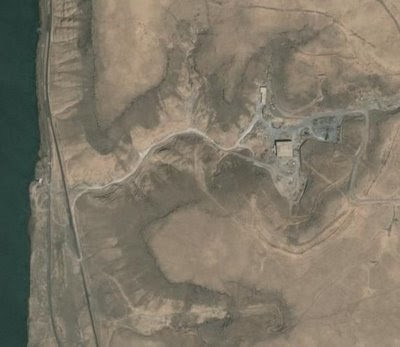 While the site is easily visible from above as shown on the image above, the facility is actually placed in a wadi and not visible from the roads in the area or the Euphrates River. This is typical for the Syrians - I was a military attaché assigned to the American Embassy in Syria and spent a lot of time trying to find these hidden facilities. In what has to be a classic attempt at Syrian mythology, the explanation of how processed uranium found its way to al-Kibar. This map will be useful. Syria has a declared nuclear program for research and the production of isotopes for medical and agricultural purposes. The program uses a small reactor located in a facility near the Damascus International Airport near Dayr al-Hajar. The facility is easily visible from the road - there are no attempts to disguise its function. The possible explanation: Perhaps some of the uranium found in the remains of the site at al-Kibar originated at Dayr al-Hajar and was inadvertently moved to al-Kibar. Talk about the suspension of disbelief. 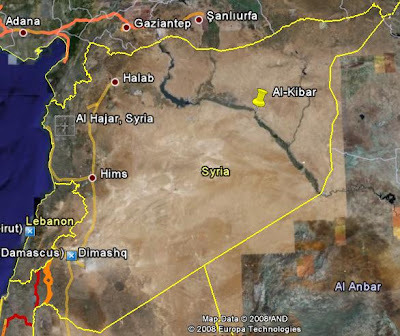 It is over 250 miles of bad roads from Dayr al-Hajr to al-Kibar. Trust me - I've driven it. There is no easy way to get there, and no plausible explanation as to why anyone involved in the reactor program at Dayr al-Hajar should be at al-Kibar, unless al-Kibar was in fact a nuclear facility. I think the Syrians still have some explaining to do. The current iteration of the agreement between the governments of Iraq and the United States is a bad deal for both countries. The Iraqis are being typically xenophobic and short-sighted, and the United States is giving up too much in the rush to sign an agreement before the end of the year when the current United Nations mandate expires. Or, could it be that the United States is rushing to complete an agreement before the current administration leaves office in January? Some Sunni and Shi'a leaders have suggested that they should wait until Barack Obama takes office before concluding an agreement, hoping to accelerate the withdrawal of American forces from the proposed three-year timetable to the 16 month pullout promised by Senator Obama during his presidential campaign. That sounds good to the Iraqis, although if there is no agreement in force on December 31, American forces technically will be required to cease operations. In theory, American forces will be sidelined until there is a legal framework in place to allow them to operate. In reality, any American officer who places his forces in jeopardy because of this political manuevering is not being true to his troops. That said, if American troops cease operations, it just may demonstrate to the Iraqi leadership just how fragile their current relative calm is. Iraqi military and security forces have come a long way in the past few years, and may be able to handle much of the direct on-scene operational duties required to maintain some semblance of calm, but they are not in a position to provide the requisite logistics, transportation, medical, intelligence, etc. - all those combat support functions that are not yet fully operational in the fledgling Iraqi units. The Iraqi politicians are acting as if they are in the driver's seat. Lest they forget who gave them this opportunity to practice democracy, we should at all times remind them that it was American forces - U.S. soldiers, sailors, marines and airmen - that fought and died ro remove Saddam Husayn and the Ba'thi regime. There are almost 4,200 American families that gave their most precious commodity - their sons and daughters - to give them this this chance. We should demand a say in what goes on for the immediate future. The Middle East is a dangerous, yet critical, part of the world, and it will remain so as long as we Americans are dependent on fossil fuels as a cornerstone of our energy resources. In the absence of any semblance of leadership or even mere cooperation from our European "allies," the United States needs to stand firm and demand an agreement that meets our security needs, rather than accept what is not in our national interest. The presence of 152,000 American troops should count for something. So what do the Iraqis want, and what can we not live with? Let's take a look at some of the points that this administration has caved on. Let's eliminate the jurisdiction issue. The language of the agreement in all iterations is similar to agreements we have made all over the world - hardly a show stopper. More to the point, however - the initial draft provided for an American troop withdrawal from Iraq by the end of 2011, open to negotiation at that time. If press reports are correct, the latest draft removes language authorizing Iraq to ask U.S. forces to remain in any capacity beyond the end of 2011 - the new text is, "United States forces shall withdraw from all Iraqi territory no later than December 31, 2011." Unacceptable. No one can predict the situation in Iraq in 2011, let alone the situation in Iran at that time. We did not sacrifice over 4,000 Americans to establish an Iranian surrogate. Both Iraq and the United States need the flexibility to determine American force presence at that time based on the situation. We should demand no less. The Bush Administration should rethink these concessions, and the incoming Obama Administration should reject them. Memo to President Admadihejad: "Nuclear weapons are militarily useless"
Your nuclear weapons program turns out to be unnecessary! That's right - I attended a seminar yesterday at the ultra-liberal James Martin Center for Nonproliferation Studies at the Monterey Institute of International Studies. 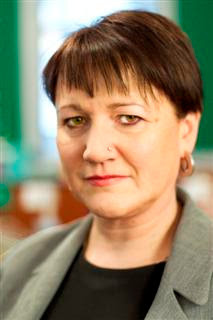 The new deputy director of the institute, Dr Patricia Lewis, is on record that "nuclear weapons are militarily useless." There you have it. Now you can dismantle all the centrifuges, heavy water plants and atomic vapor laser isotope separation equipment at Natanz, Arak and Lashkar Abad. Wait - I forgot. All those facilities are for peaceful purposes. Disregard. Okay, I am being facetious here. That said, Dr Lewis's remarks merit some comment. Of course, you'd expect some hair-splitting statement from someone whose background is solely with the United Nations Institute for Disarmament Research and the Verification Research and Training Centre in London. Look at their success record, in say, North Korea, Pakistan, India or more currently, Iran. According to Dr Lewis, the United Nations would like to persuade Iran to refrain from stepping over the nuclear weapons threshold, and encourage countries to rely on their own conventional military forces for security. Here's the real answer. Nuclear weapons in the hands of responsible nations provide deterrence. Call it what you will, but the former Soviet Union was deterred by America's nuclear arsenal, and was able to deter attacks on itseff. It is this Cold War model that drove India and Pakistan to acquire nuclear weapons, and it seems to have worked. During the last decade and a half when tensions flared in South Asia, the nuclear option caused saner heads to prevail. Without that balance, we would have seen at least two major confrontations between India's and Pakistan's considerable conventional forces. Unfortunately, it is this same model that now drives irresponsible governments in the Middle East to acquire such weaponry - and I speak here specifically of Iran and Syria. They believe that a nuclear weapons capability will deter Israeli attacks and gives them more leverage in Middle East diplomacy. Why do I call the goverments of Syria and Iran irresponsible? They are both state sponsors of terrorism - who can say if in a major miscalculation that either one or the other would provide a nuclear weapon to Hizballah, Hamas or Islamic Jihad. At that point, the weapons become instantly useful. In fairness to Dr Lewis, I suspect that she is trying to draw a distinction between nuclear weapons as a military tool and a political tool. It makes no difference - they are one and the same. Having the weapons gives your diplomacy credibility. Without the weapons, other countries are apt not to pay too much attention. 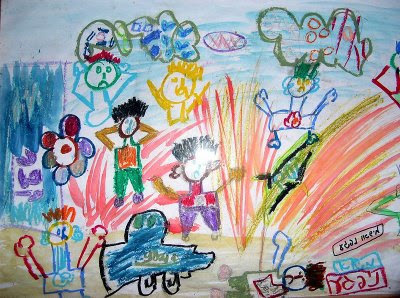 On September 27, a car bomb killed 17 people in a suburb of Damascus, Syria. 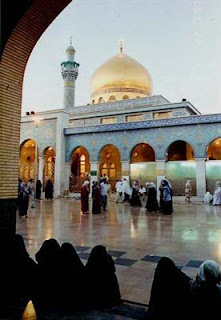 The location of the attack is symbolic - the shrine of Sitt Zaynab, a site visited by thousands of Shi'a Muslims each month, including many Iranians on government-sponsored tours. Because the site is revered by the Shi'a, the perpetrators were almost certainly Sunni fundamentalists. Sitt Zaynab, literally Lady Zaynab, refers to Zaynab bint 'Ali, the daughter of 'Ali and Fatimah (daughter of the prophet Muhammad) making her the granddaughter of the prophet, daughter of the first Shi'a imam and brother of Hasan and Husayn, the second and third imams. She is buried in the shrine that bears her name. It is one of the most beautiful buildings in Syria. Since the site is a Shi'a holy place, the attack is an embarrassment for the Syrian government of Bashar al-Asad. Syria prides itself on its lack of violence - the internal security apparatus is large and effective. Despite this, there have been a number of incidents that call in to question the stability of the regime. I was the air attaché at the American embassy in Damascus in the early to mid 1990s. At that time, the only violence was the occasional gunfight between remnants of the Sunni fundamentalist Muslim Brotherhood (ikhwan al-muslimin) and Syrian security forces. When these events happened, I tried to get to the scene to see what was happening. In almost every instance, the fundamentalists would never surrender - the Syrians normally had to burn the building in which they had holed up. There is serious bad blood between Sunni fundamentalists and the Asad regimes. In 1982, the fundamentalists had virtually taken over a section of downtown Hama, a city in north-central Syria. Hafiz al-Asad (Bashar's father) dispatched his brother Rif'at and special units of the Syrian army. The army fired artillery into the old city, leveling most of it and killing as many as 40,000 people. The Muslim Brotherhood was effectively destroyed as a major threat, but elements remain. In September 2006, four men were killed in an attempted car-bombing attack on the American Embassy in the Abu Rumanah section of Damascus. 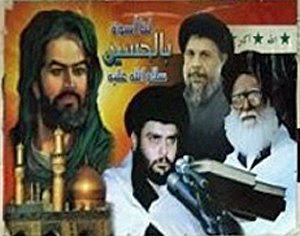 The four were members of a pro-al-Qa'idah group. In February of this year, Hizballah military commander 'Imad Mughniyah was killed in the normally peaceful residential Kafr Susah section of Damascus, virtually under the eyes of the Syrian internal security service. I believe it was the Israelis. In August, Syrian brigadier Muhammad Sulayman was murdered in Tartus. 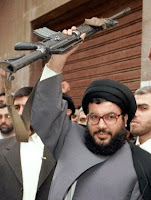 Sulayman was allegedly involved in the supply of weapons to Hizballah. Again, there is suspicion that Israeli agents were responsible, but I believe it was likely an internal powerplay in the security forces. Sulayman did not rise to the level that would make him a target for the Israelis to mount an operation in Tartus. The recent bombing at Sitt Zaynab underscores the internal problems in Syria despite the pervasive security services and domestic intelligence activities. While these problems appear to be worsening, Asad's intelligence officers are busy trying to ignite a civil war in Lebanon, probably to justify another Syrian military intervention. Perhaps young Bashar should try to solve the problems in his own country before creating them in another. American forces have expanded the war in Afghanistan to include cross border operations into neighboring Pakistan. This represents an escalation of the risks the United States is prepared to take in its war against the remnants of the Taliban and al-Qaeda. 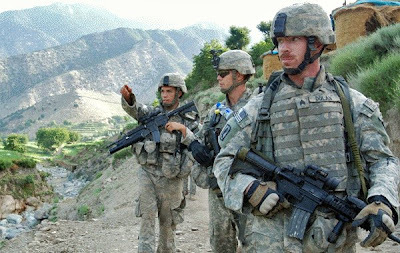 Since July, American forces have increased in number and size the raids into the Federally Administered Tribal Areas of North and South Waziristan, areas used by the Taliban and al-Qaeda as safe havens once thought immune from attack. 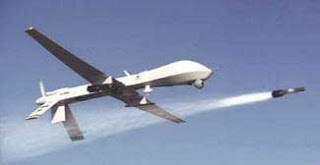 Most of these raids consisted of Hellfire missile strikes launched from Predator and Reaper unmanned aerial vehicles operated by both the U.S. Air Force and the CIA; at least one raid included a ground incursion by U.S. special operations forces and CIA operatives. At the same time, the United States is gradually increasing the number of troops in Afghanistan and urging its NATO allies to do the same. This “quiet surge” as described by the Bush Administration is in response to increased Taliban attacks on U.S. and NATO units in Afghanistan over the last six months. With the situation improving in Iraq, American forces can – and should - now concentrate on the original battleground in the offensive against al-Qaeda and the Taliban. However, as long as there is a safe haven for these groups’ fighters across the border in neighboring Pakistan, stepped up operations limited to the sovereign territory of Afghanistan can only do so much. The solution must include denying the Taliban the ability to use Pakistan as an operations, logistics and training base. Denying the Taliban use of Pakistani territory should be the responsibility of the Pakistan government. To be fair, Pakistan has at times deployed troops into the lawless frontier regions. Each time they have been met with stiff resistance and suffered surprisingly significant casualties. The Pakistan armed forces are very professional – they well understand the level of force required to get the job done; they just seem unwilling to do it. One must also consider the internal dynamics of Pakistan when either calling for newly elected President Asif Ali Zardari to take action or taking unilateral action across the border. There is a fair amount of sympathy in the population in general and the armed forces in particular for the Taliban and al-Qaeda – the Taliban was created by Pakistan’s intelligence service, the Inter-Services Intelligence (ISI) directorate. The ISI was also the primary funnel for American and Saudi money and weapons to the Afghan mujahidin and the Arab volunteers who later formed al-Qaeda, in the fight against the Soviet occupation in the 1980’s. Those bonds run deep. American demands that Zardari commit large numbers of troops to fight the Taliban, al-Qaeda and their Pushtun hosts in the border areas may cause a crisis in popular support for the new government. After all, there is little support in Pakistan for the United States and its war against the Taliban and al-Qaeda. A failed government in Islamabad would serve only the extremist agenda. It is interesting – and telling – that the Pakistani government which accepts up to $100 million every month from the United States to reimburse the Pakistani military for its efforts against the Taliban and al-Qaeda, is willing to order its troops to fire on American forces. It is willing to try to prevent American forces from entering Pakistan, yet seems to be unwilling to prevent Taliban and al-Qaeda fighters from crossing the border seemingly at will. The war cannot be won unless the flow of men and materiel in and out of Pakistan is stopped – it’s that simple. What is not simple is how to stop it. Pakistan does not want American forces to conduct cross border raids from Afghanistan into its territory, but will not stop the Taliban from doing essentially doing the same thing in reverse. There is little choice here. American forces must strike the Taliban and al-Qaeda wherever they are – at times that will be in Pakistan. The trick will be to do it in such a way that we don’t cause the fall of the new government. The national security advisor to Iraqi President Jalal Talabani resigned his position so he can legally speak out about what he perceives as a threat to his country from Iran, specifically from the Islamic Revolutionary Guard Corps (IRGC) Qods Force. Wafiq al-Samarra'i is uniqely qualified to make these kinds of assessments - he is a retired general and professional military intelligence officer. I first met Wafiq in early 1988 when President Ronald Reagan decided that an Iranian victory in the Iran-Iraq war was unacceptable and that the United States would support Iraq. President Reagan's Secretary of Defense, Frank Carlucci, directed the Defense Intelligence Agency (DIA) to begin providing intelligence assistance to Iraq. I was sent to Baghdad to serve as the DIA liaison officer to the Iraqi Directorate General of Miltary Intelligence (DGMI), the istikhbarat. At that time, the director of the Istikhbarat was Major General Sabr 'Abd al-'Aziz al-Duri. Al-Duri is currently on death row for his complicity in the chemical attacks on the Kurds at Halabjah in 1988. This happened while I was in Baghdad working with the Istikhbarat. The deputy director of the Istikhbarat at the time was Brigadier Wafiq al-Samarra'i. Wafiq became my primary point of contact in Baghdad - he and I worked intelligence support to Iraqi forces fighting against Iran. With American intelligence support, they were able to halt the Iranian onslaughts and mount a series of offensives that ended the war in August 1988. After the end of the war, Wafiq and I parted company as our countries drew apart. Saddam adopted a militazation policy and a belligerence towards American ally Kuwait that we could not abide. By the time Iraq invaded Kuwait in August 1991, Wafiq had been promoted to the position of director of the DGMI. My friend had now become my enemy. In response to Iraq's invasion, occupation and annexation of Kuwait, American forces poured in to the Arabian deserts to defend Saudi Arabia and ultimately liberate Kuwait. While Wafiq served as Saddam Husayn's military intelligence chief, I served as the advisor on Iraq and personal Arabic interpreter to American forces commander, General Norman Schwarzkopf. When the war ended in March 1991, Wafiq conitnued in his position but was becoming more and more disillusioned with what Saddam was doing to Iraq. In December 1994, he defected to the West via the Kurdish controlled area in northern Iraq. Since I was one of the very few American officers that knew him and had worked with him, I was chosen to be on the team handling his debriefing and resettlement. Eventually, we had him working in the Iraqi opposition with Dr 'Iyad Alawi and the Iraqi National Accord (the wifaq), mostly in Jordan. After the American invasion of Iraq in 2003, Wafiq returned home to his native Samarra' where he was instrumental in the defeat of the Sunni insurgency and al-Qai'dah in Iraq. He was selected to be the national security advisor to the Iraqi president in 2005. Wafiq al-Samarra'i has the credentials and gravitas to make the case to the Iraqi government and the Iraqi people. I wish him success. 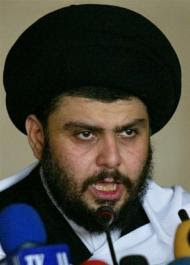 Muqtada al-Sadr in Iran - Who is behind it? In my last post (Muqtada al-Sadr biding his time in Iran), I wrote about Muqtada al-Sadr and his decision to disband his jaysh al-mahdi (Army of the Mahdi) militia and transform it into a social welfare service organization, move to Iran and pursue a course of study to burnish his Islamic credentials, in hopes that he will gain the requisite stature to eventually become the major political power broker in Iraq. Not a bad plan when you think of it. The big unanswered question: who came up with it? Muqtada al-Sadr is demonstrably not that smart. He has consistently led his followers into a series of disastrous military blunders, most recently suffering devastating losses in battles with American and Iraqi troops in Baghdad, al-Basrah and al-'Amarah. Yet, on his own he decides to completely change course, "get religion" and commit to a four to five year program of study? Here is one possible explanation. In the human intelligence business, we normally try to recruit assets with access to specific information that cannot be obtained through normal means - in other words, find a spy to steal the information. The usual targets for recruitment are diplomats, military personnel, government officials and employees - people who have routine access to sensitive or classified information. We recruit them to give that information to us, for whatever reason - ideological views, an appeal to their patriotism, revenge, greed, whatever works. A more difficult operation is to recruit what is called an "agent of influence." This person does not necessarily have access to specific information of value, but they themselves are believed to be a future leader of a particular country, military organization, political party, etc. These agents of influence are difficult to find and more difficult to recruit since they are generally truly committed to the county or group we are trying to penetrate. However, finding and recruiting an agent of influence has huge potential. Having a well-placed asset that we can control inside a government or organization provides unique abilities to shape events to our liking. Consider this scenario: An Iranian intelligence officer, whether from the Ministry of Intelligence and Securitry (MOIS), or the intelligence arm of the Islamic Revolutionary Guard Corps (IRGC), or a Qods force officer working with the Mahdi Army, approaches Muqtada al-Sadr. The approach would have been along the lines of, "Here's your opportunity to get what you have alwasy wanted - to be the most powerful man in Iraq. To do that, you are going to have to have solid religious credentials, you need to be a marja' al-taqlid (source of emulation), at the very least an ayatollah. We - you friends and brothers in Iran - can make this happen. We'll get you into the presitigious religious academy in Qom, we'll make sure you get the credentials you need. We'll help you create a social services organization based on the Mahdi Army - remember, we have done similar things with Hizballah in Lebanon. When you return to Iraq, we'll continue to help. All we ask is that you continue to be our ally and friend." Sounds pretty plausible, doesn't it? I wonder. Recent reports claim that Iraqi Shi'a militant leader Muqtada al-Sadr will be taking up residence in the Iranian religious center of Qom for the next four to five years - he's already spent most of the last year in Iran. While on the surface this appears to be good news for Iraq and its American allies, this may portend real problems down the road. Al-Sadr is not merely hiding in Iran, he is pursuing his religious studies - he hopes to eventually rise to the status of a marja' al-taqlid (literally, "source of emulation"), and a grand ayatollah. These leaders are the highest authorities in Twelver Shi'a Islam. For al-Sadr to achieve his goal of being the most important man in Iraq, he needs these religious credentials to become the leader of the largest segment of the Iraqi population. Currently, the mantle of Shi'a religious leadership in Iraq falls on Grand Ayatollah 'Ali al-Sistani and Sayid 'Abd al-'Aziz al-Hakim, both rivals of al-Sadr. Ayatollah al-Sistani is by far the most respected Shi'a cleric in Iraq, but is 78 years old and in poor health. Al-Hakim would make a logical and widely accepted successor to al-Sistani, but the 58 year old leader of the Supreme Islamic Iraqi Council (formerly the Supreme Council for the Islamic Revolution in Iraq) lacks the religious credentials to assume the role. Al=Hakim is in the same situation as Muqtada al-Sadr - both come from distinguished Shi'a religious families, both have lost numerous family members to Saddam Husayn and setarian violence, but neither have the titles to move up in the heirarchy. The difference between the two is that Muqtada al-Sadr is willing to spend the requisite time pursuing his religious studies in Iran. Al-Sadr currently holds the title of hawjat al-islam (literally, "proof of God"), a rank below ayatollah. Four or five years of study in Qom will almost certainly see him elevated to the rank of ayatollah, possibly even grand ayatollah. The title/rank of ayatollah is conferred through peer recognition of religious scholarship - being from a presigious Shi'a family does not hurt either. The first step in his plan to be the most influential figure in Iraq was the alleged transformation of the jaysh al-mahdi (Al-Mahdi Army) from a militia to a social welfare service. Of course, that epiphany came after his militia sustained devastating losses in battles with American and Iraqi troops. Encouraging the religious establishment in Qom to desginate Muqtada al-Sadr as a marja'/grand ayatollah will be a smart move for the Iranian leadership. Since he is from a famous and respected Iraqi family and he has a large following in the country, he may emerge as arguably the most important man in Iraq. Not a bad person to have in your pocket. Now that Pervez Musharraf has resigned as the president of Pakistan, America’s global war on terror has gotten a bit more difficult. Musharraf was unpopular in his own country, but he was perceived here as a strong ally of the United States in its fight against al-Qaida and the Taliban in Afghanistan. It was Musharraf that switched his country’s policy towards both groups almost immediately after the al-Qaida attacks on the U.S. in September 2001, a dangerous move on his part. Musharraf’s decision to stop support for the Taliban and ally himself with the nation dedicated to removing them from power took great personal courage. After all, it was the Pakistani military intelligence service, the Inter-Services Intelligence Directorate, which played a major role in the creation of the Taliban and was a key supporter of al-Qaida since its inception in the late 1980’s. Pakistan’s support to the United States, due almost solely to Musharraf, was critical to early American successes against the Taliban and al-Qaida in Afghanistan. Since 2001, Musharraf’s fate has been sealed, however. Various Islamist groups in the country were infuriated by his turn to the West and seeming treachery towards the Pushtuns that inhabit the Northwest Frontier Province, and North and South Waziristan. Not only was Musharraf perceived as turning against his own countrymen, but turning against his fellow Muslims as well. Pakistan is home to some of the world’s most radical Muslim clerics and most fundamentalist madrassas, Islamic religious schools. It was only a matter of time before he would become the target of the wrath and ire of the Islamists, including the Taliban and al-Qaida. Several assassination attempts underscored the level of anger directed at the president. There are numerous Islamic groups in Pakistan and few if any supported Musharraf. There are calls now for Pakistan to embrace democracy, to adopt more transparent political processes. At some point, the power struggle to replace Musharraf will be resolved; most likely an arrangement for governance will be made between Nawaz Sharif’s Pakistan Muslim League and Benazir Bhutto widower Asif Ali Zardari’s Pakistan Peoples Party. It is unlikely that the new government in Islamabad will provide the same level of support for American efforts in Afghanistan. Unfortunately, recent Pakistani support, even under Musharraf, was insufficient to stop the Taliban from using Pakistan’s border areas as safe havens from which to launch attacks at American and coalition forces in Afghanistan, or to stop al-Qaida from re-establishing its base operations in the tribal areas. Without earnest Pakistani efforts to seal their border with Afghanistan, a solution to the Taliban resurgence without unilateral American cross-border operations will be next to impossible. This situation has the potential to deteriorate even further. If Democratic processes take hold – and that is not a given and we may face the prospect of a future popular election in which the majority of Pakistanis, angry at what they perceive as Musharraf’s treachery in supporting the United States and fearful of too much democracy too fast, elect an Islamist government. Nawaz Sharif has in the past proposed the establishment of Sharia law in the country. The election of an Islamic party will be reminiscent of the Hamas victory in the Palestinian elections, but this time with much more profound implications. We do not need, nor is the world ready for, an Islamist state with an arsenal of nuclear weapons and the means to deliver them, either by air, missile or terrorist. Stability in Pakistan is essential to our efforts in Afghanistan; the consequences of instability are too frightening to contemplate. A headline today on the Associated Press wire, North Korea announces ambassador to Syria, starts with a misleading sentence: "North Korea has named an ambassador to Syria, the communist country's official media said Monday, following U.S. allegations the two countries engaged in nuclear cooperation." This phrasing gives the impression that the two countries are increasing the level of their diplomatic relations. Syria and North Korea have had diplomatic relations for decades, as well as a close military and technology relationship. This announcement is nothing new - perhaps it should read, "North Korea has named a new ambassador to Syria...."
As far back as the mid-1970's, North Korean Air Force MiG-21 pilots were stationed at an air base in southern Syria, and routinely flew Syrian Air Force aircraft on operational missions. In 1990, during a visit of the North Korean president to Syria, a deal was signed for the sale of North Korean "Scud C" (North Korean reverse-engineered Egyptian Scud B) to Damascus. The missiles were delivered by sea and air over the next few years. In 1993, for example, two huge Russian AN-124 CONDOR transports delivered missiles and transporter-erector-launchers to Damascus International Airport, in plain view for the world to see. I was there and saw it - impressive aircraft. Not only did the North Koreans sell missiles to Syria, they built two missile production and maintenance facilities in northern Syria. The cooperation did not stop with ballistic missiles and related technology transfer. In 2007, the Israeli Air Force bombed a suspected North Korean nuclear facility in the deserts of northeastern Syria near Dayr al-Zawr. Although both Syria and North Korea have denied any nuclear cooperation, Israel released compelling evidence, and Syria continues to refuse access to the site for International Atomic Energy Agency inspectors. Back to the article - the bottom line is that the naming of a new North Korean ambassador to Syria is routine. 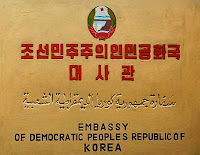 WARNING - War Story: The North Korean embassy in Damascus also has a defense attaché office, headed up by a colonel. 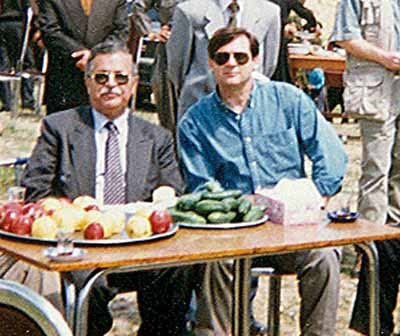 When I was the US air attaché to the US Embassy in Damascus from 1992 to 1995, the North Korean defense attaché was a pretty nice guy. He did not speak English and I do not speak Korean, so we conversed in Arabic. His family was friendly, well as friendly as possible given the relations (or lack of) between the United States and North Korea. His daughter was quite an accomplished ballerina, but he was concerned about her getting decent training in North Korea. Unfortunately, the colonel was killed in a car accident. Although we American officers were not supposed to attend the memorial service held by the Syrian attaché affairs office, we did. Big mistake - his usually friendly wife spent the first three minutes of her husband's eulogy berating the United States, looking right at us. Unfortunate, uncalled for and unnecessary. Last week, Muqtada al-Sadr surprised many Iraq-watchers with the announcement that he was converting his jaysh al-mahdi (Army of the Mahdi) from a militia to a services organization. It was met with skepticism. We've seen this sort of behavior before from other insurgent/terrorist organizations - it is reminiscent of Hizballah in Lebanon. Years ago, Hizballah began a series of service programs to provide education, health care, financing, etc., in southern Lebanon. True, these efforts were needed and well-received. On the other hand, Hizballah continued to increase its military capabilites and the size of its militia, supported by the Iranians and Syrians. Their excuse for not adhering to the Taif Accords and United Nations resolutions? As long as Israel is occupying a part of Lebanon, they have the right to maintain their militia. That is true - the accords state that the militia will be disbanded and the Israelis will withdraw from Lebanon. However, the Lebanese terrority that Hizballah claims is occupied by Israel is not (and never has been) part of Lebanon. The Shab'a Farms are part of Syria, despite the fictitious claims of both the Syrians and Hizballah leader Hasan Nasrallah. Even the United Nations agrees that the Shaba' Farms (currently occupied by Israel) are part of Syria. Just as everyone thought al-Sadr's announcement was a step in the right direction for the future of Iraq, reality soon set in. Al-Sadr did not decide to become a humanitarian out of his concern for his fellow man - he realized that resistance to American forces and the emerging Iraqi security forces was futile. Every time his band of thugs challenged American troops, they suffered huge casualties. That's usually the case - when you have a bunch of undisciplined thugs and bullies with guns take on professional military forces, they lose. Now we have the real story - Muqtada al-Sadr has called for his followers to sign - in blood no less - an oath of resistance to what he calls American occupation forces. He just will not work with the government for the betterment of the country - this guy has been a problem since 2003. Why is al-Sadr being allowed to continue this seditious insurgency? 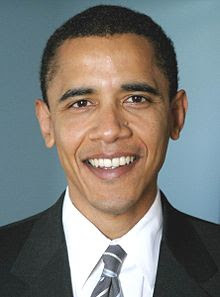 There were plans to elimiate him in 2003, but were cancelled by Jerry Bremer - yes, the same man that disbanded the Iraqi army and forced the United States into an occupation that we had not planned for, nor were manned for. If Muqtada al-Sadr insists on continuing down this path of obstruction, perhaps it is time to finally - and I mean finally - address the issue. While the military situation in Iraq continues to improve and is all but won, senior American officials are finally paying more attention to the situation in Afghanistan. There is increased Taliban activity in the provinces that border Pakistan’s lawless North West Frontier province and the Waziristans. If you read the press, it sounds like the entire country is deteriorating into chaos and that Taliban forces are gaining ground. For example, a recent report from the Associated Press was headlined in the San Francisco Chronicle as “U.S. deaths surging in Afghanistan.” While there has been an uptick in violence, to say that U.S. deaths are “surging” is a bit overstated. There are several reasons for the increased casualties, not only on the American and coalition side, but a significantly greater toll on the Taliban side. In the recent months, American, NATO and Afghan forces have been taking the fight to the enemy. The Taliban attempt to push back – when they engage, they lose the battle. However, the increased tempo of operations also means taking casualties. There are several problems that hinder the complete eradication of the Taliban, in addition to the obvious Pakistan border issue. The coalition forces operating in the country, from NATO and non-NATO nations, operate under several different command structures. Also, many of the NATO countries – Germany is the prime example – are severely restricted by their governments to non-combat roles, and are inadequately resourced for the mission. The major combat burden is being borne by U.S, Canadian, British, Dutch and Polish troops. Most of the shortfall – intelligence, artillery support, logistics, aviation, medical, etc. - is picked up by American forces. A good first step would be the creation of a unified command structure for all military forces in the country, including the over 60,000-strong Afghan National Army. The Afghan army takes orders from the Afghan government. The almost 53,000 NATO forces (14,000 of which are Americans) operate under a confusing array of commands that answers to NATO headquarters in Belgium. Then you have various American command structures to deal with. Some American are in NATO, some are under the command of the U.S. Central Command, and others (primarily special forces) operate under the command of U.S. Special Operations Command. We have placed 32,000 American troops in harm’s way in Afghanistan. They are fighting a determined and capable enemy. They deserve not only the best equipment and support, but also a sensible command structure that maximizes the military capabilities of all the forces. A single command structure that can symbiotically employ the diverse capabilities of all the forces in the country would go a long way to shortening the life expectancy of the Taliban. 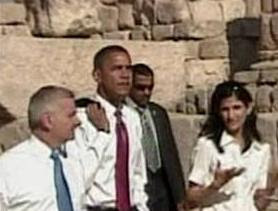 Barack Obama’s recent trip to the Middle East was a learning experience for him. Often criticized for a lack of national security and foreign policy experience, he was exposed to the vexing issues facing the U.S. in the world’s most volatile and strategically important region. In Iraq, he was able to get a glimpse of an improving situation and meet with some of the American troops responsible for that turn-around. Despite this, he still continues to use the phrase “end the war” as opposed to what the troops have asked for: An opportunity to “win” the war. Ironically, thanks to their efforts, his arbitrary timeline of withdrawing American combat forces within 16 months of taking office is probably achievable. Probably no less educational was the visit to the Israeli town of Sderot. Sderot is located on the border with the Gaza Strip and is subjected almost daily to rocket and mortar attacks at the hands of Iranian supported terrorist groups. The 6000 rocket casings launched over the years provide a powerful visual aid to the reality of living in Israel. 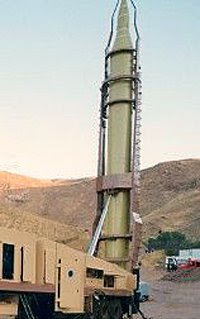 The Israelis have claimed for years that Iranian uranium enrichment efforts are the first steps toward the development of a nuclear weapon, a weapon they believe may be used on the Jewish state. Israeli analysts postulate that three nuclear weapons detonated over the small coastal strip from Tel Aviv to Haifa could effectively destroy their country. They define the Iranian program as an “existential threat.” The senator, in his public remarks, appears to agree with this assessment. Armed with this newfound knowledge and supposedly a great appreciation for the realities of the situation in the region, it will be interesting to watch the development of the candidate’s policy toward Iran. Will he still be willing to sit down with Iranian president Mahmoud Ahmadinejad without preconditions? How far will he be willing to go to insure that Iran does not develop a nuclear weapon? When and if the Israelis decide that the rest of the world will not solve the Iranian issue and attempt to solve it themselves, will the senator be in their corner? At the end of the day, the lesson is clear. The real issue in the region facing the next president is Iran. Stopping both Iran’s quest for nuclear weapons and its support for the three major terrorist organizations in the Middle East should be critical American foreign policy goals. End the war or win the war? 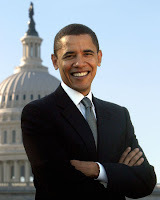 Senator and Democratic presidential candidate Barack Obama is committed to withdrawing American military forces from Iraq. He plans to have this action completed within 16 months of taking office. That time line, through no prescience on his part, is probably achievable. It is achievable because of the surge - which he said would not work, by the way. Thanks to the increase in the number of troops, changes in tactics and increased capabilities of the Iraqi military and security forces, we may be able to bring most of the troops home even before his artificial deadline. The time line is really not the issue - it is his characterization of what he hopes to accomplish. Let's look at his words (taken from his official campaign website). The problem is not the plan to withdraw American forces - the senator has said he will consult with the military commanders and assess the security situation in Iraq. That's pretty much what the President and Senator McCain have been saying without adding artificial time lines. The problem is his choice of words. The senator, as we all know, is a gifted orator and talented speechwriter, so we have to assume he has chosen his words carefully. The offending phrase is "end the war." We should not "end" the war, we need to "win" the war. Packing up and going home is not a good idea unless we have accomplished some key objectives. Just because we can leave on a a particular date does not mean that we should. Although the "security situation" may allow us to safely withdraw, the assessment should be based on making sure we do not leave a failure waiting to happen. I guess the question the senator needs to answer is, "Do you want to win in Iraq?" If you think that is not as important as merely "ending" the war, you do not deserve to be the commander in chief of the fine young men and women who want to win in Iraq. In a surprising reversal of its longstanding policy towards Iran, the Bush administration has sent its No. 3 diplomat to Geneva for a weekend meeting with the top Iranian nuclear negotiator. Since the administration is on record as refusing to hold senior-level talks with the Islamic Republic unless certain conditions are met, one might ask what conditions the Iranians have agreed to for this meeting. The fact that the Iranian representative at the upcoming meeting has the nuclear portfolio is significant. The bottom lines for the two countries have been quite clear. The U.S. has demanded that Iran stop its uranium enrichment efforts, efforts many believe are actually the first steps in the development of a nuclear weapon. For its part, Iran has stated that its right to enrich uranium is not negotiable, and has given no indications that it is willing to compromise on this stance — despite a host of sanctions and incentives. What has changed? What has changed? It has been just a week since Iran launched a series of ballistic missile launches near the Straits of Hormuz and issued a string of verbal threats against both Israel and the United States. Now a representative of that government will sit down with a American representative. To the Iranians, this is a victory, a vindication of their strategy: Continue to enrich uranium, refuse to compromise on the issue, conduct military exercises and tests, threaten to close the oil flow from the Persian Gulf, and refuse to engage with the Europeans. Do these things long enough and the U.S. will eventually come to the table. On Saturday, America is coming to the table. What were the conditions demanded by the U.S. for this meeting? Did they demand any conditions? There does not appear to be any change in Iran’s position, so in the absence of any indications that there will be any progress on the key issue, why meet? Most of the western world seems fairly united on this issue, but Tehran does not seem to get it. Up until now, the U.S. has been content to let the Europeans try the diplomatic route, to no avail. The Iranians have wanted to talk with the U.S. all along. Here’s their opportunity. If the Europeans can’t solve it, and the Americans won’t solve it, the Israelis will try to solve it. The message to the Iranians should be pretty simple. Stop enriching uranium.